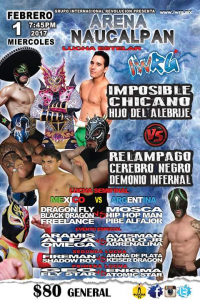 Fireman replaced Fly Star. 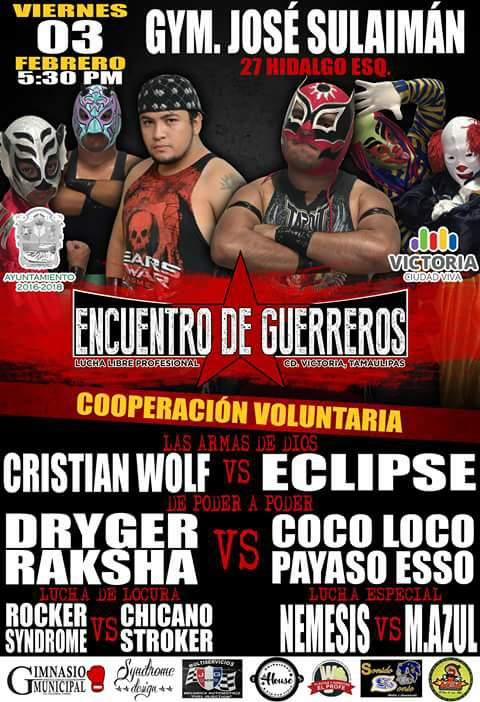 First match for Geo & Enigma in summer. 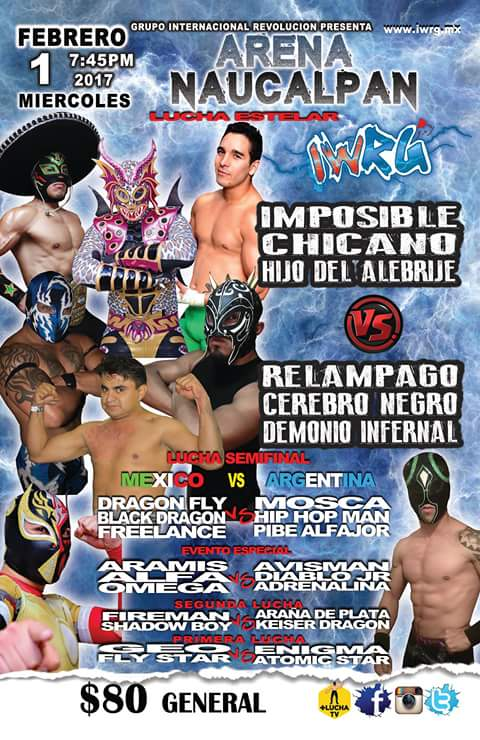 Diablo Jr. fouled Aramis. 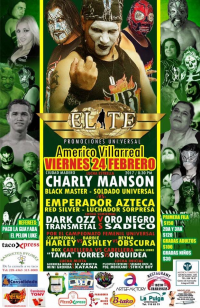 Avisman's first match here since last August. 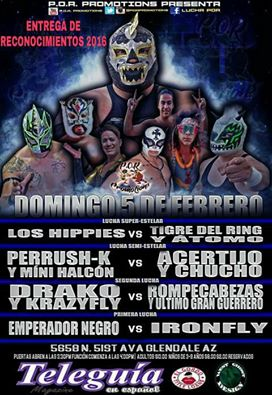 Mosca sneaked in a foul on Dragon Fly. Pantera I replaced Freelance. 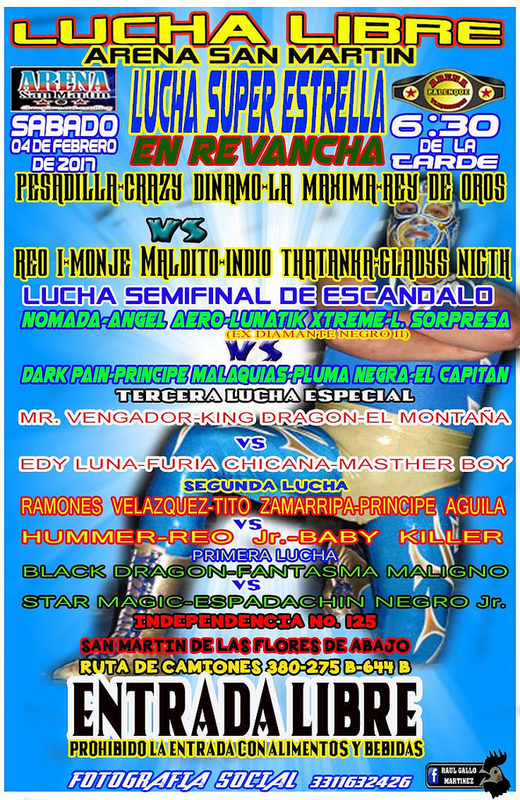 Eterno replaced Relampago (injury), which allowed him to feud with Demonio Infernal. 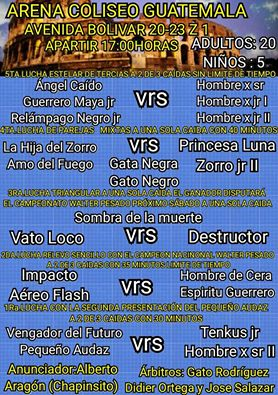 Eterno cheated to beat Demonio Infernal. 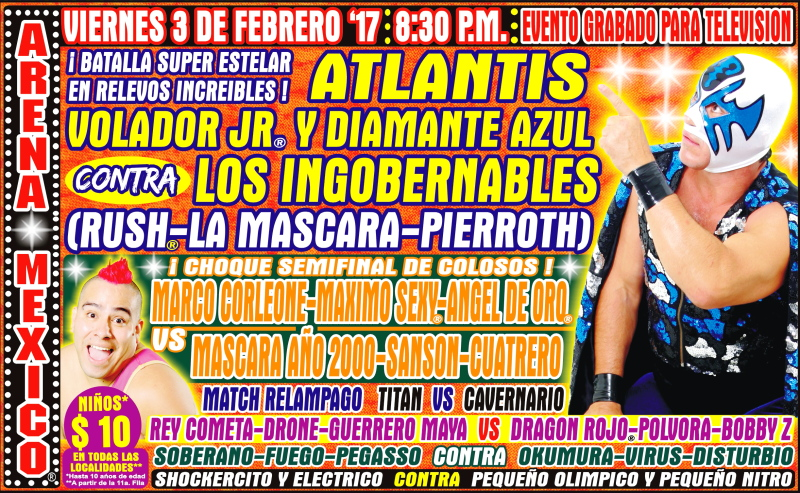 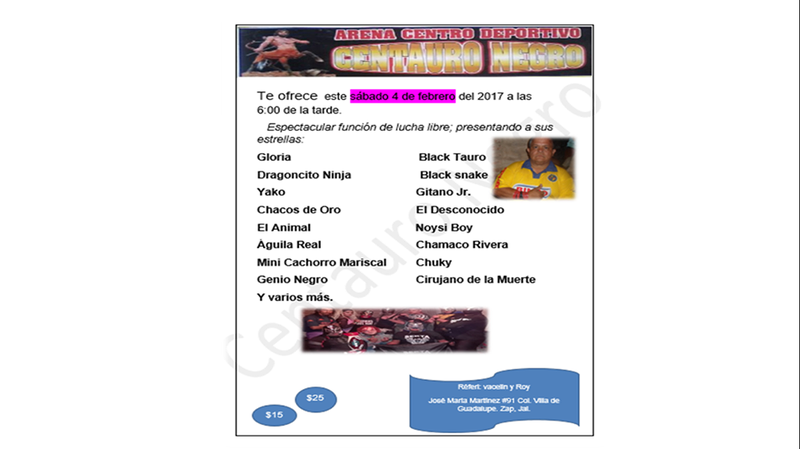 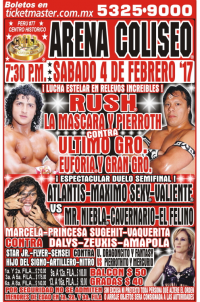 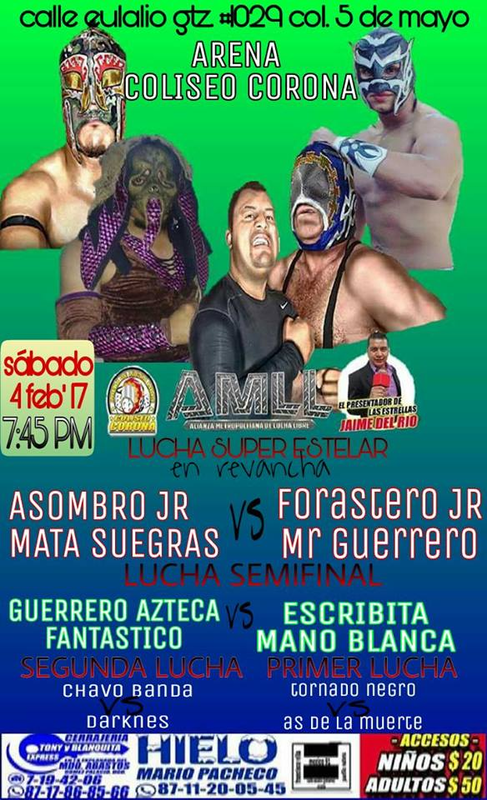 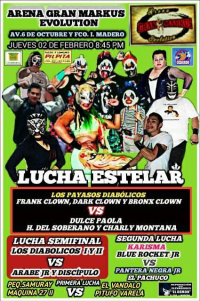 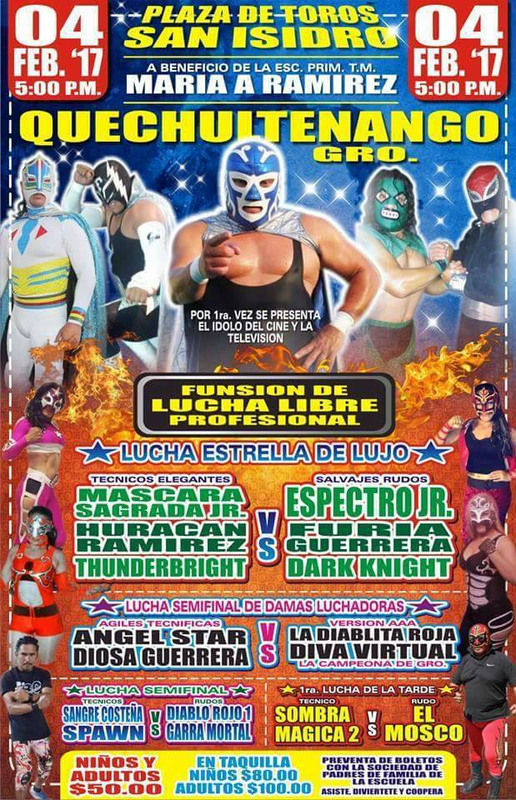 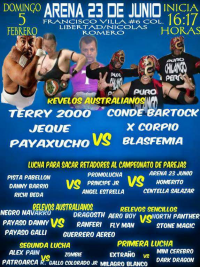 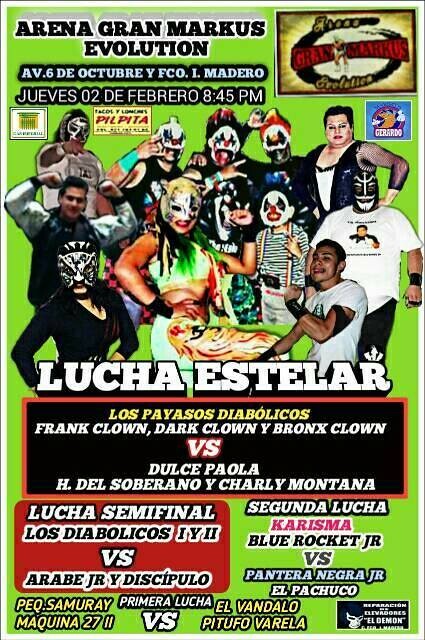 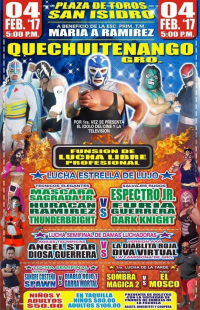 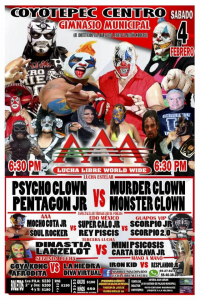 4) Australian Suicide, El Elegido, Pimpinela Escarlata vs Estrella Divina, Mamba, Máscara Año 2000 Jr.
25,000 to the winner. 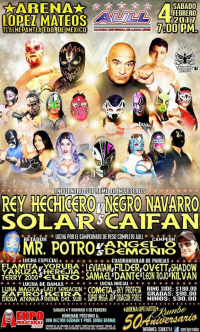 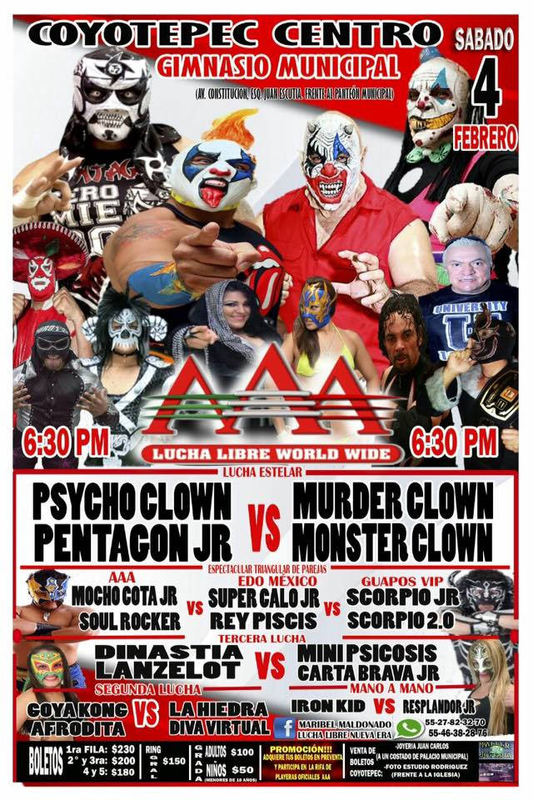 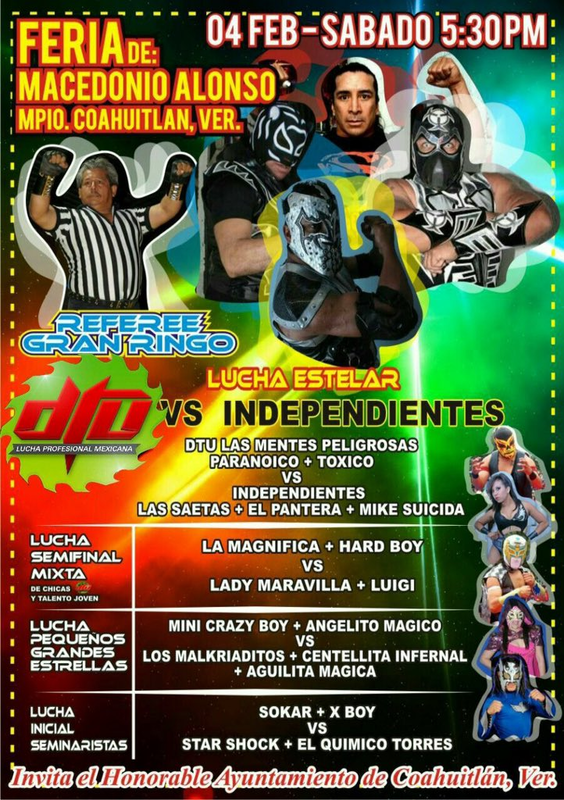 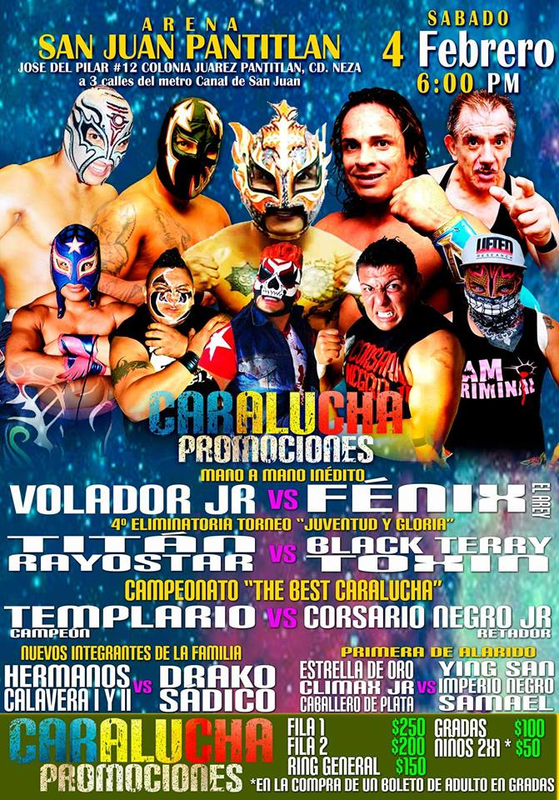 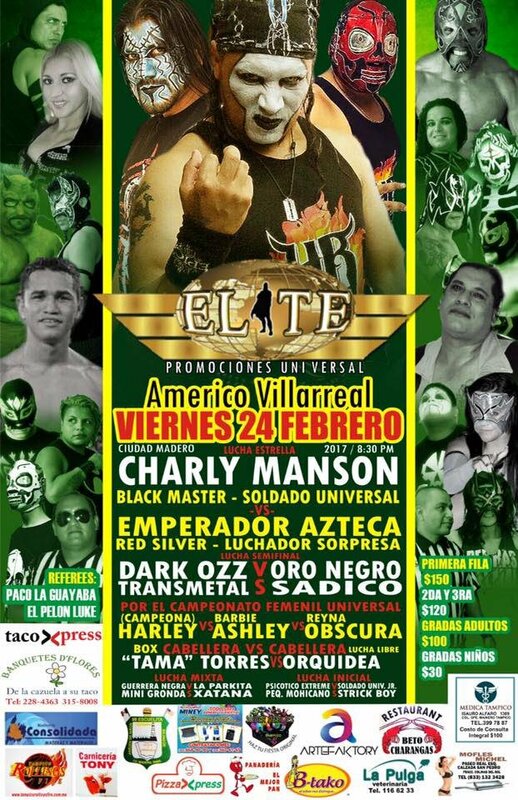 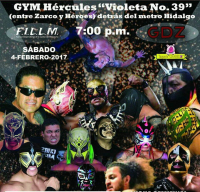 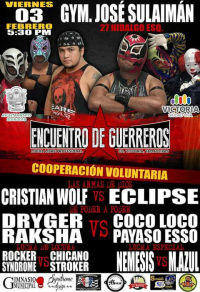 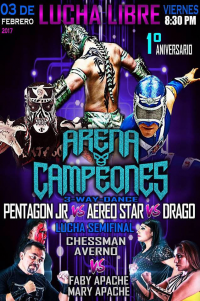 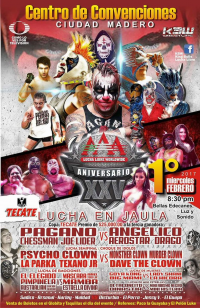 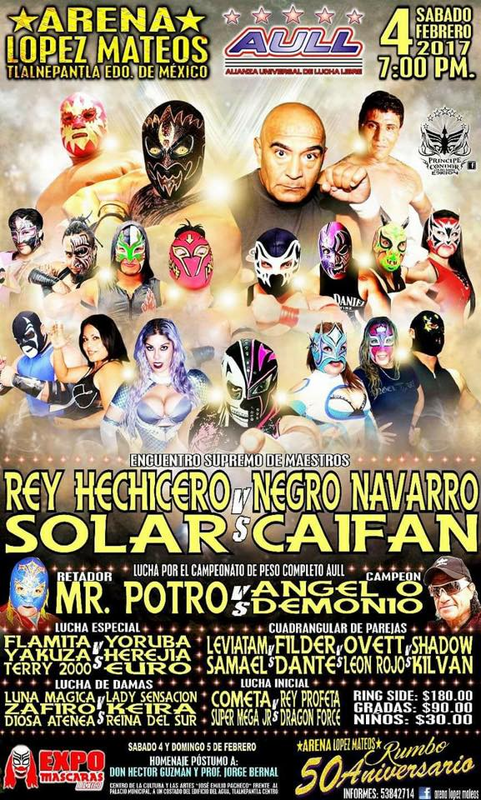 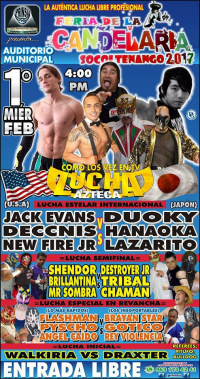 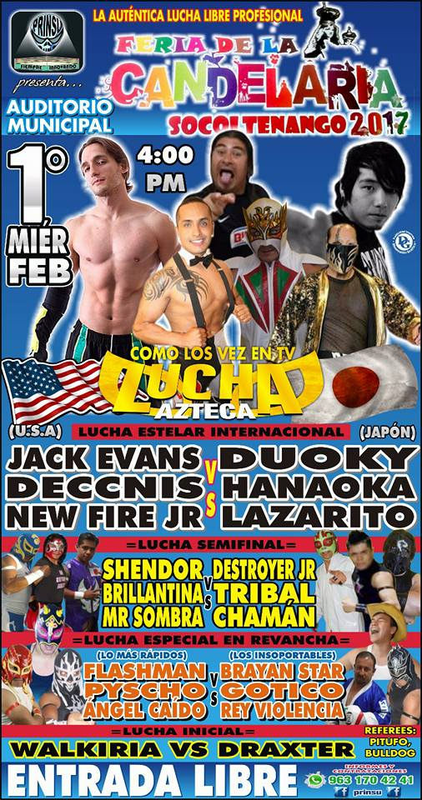 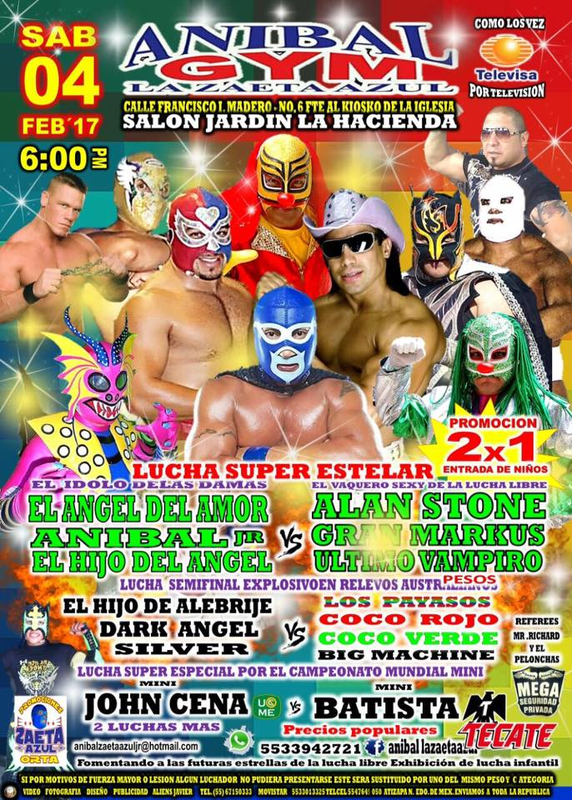 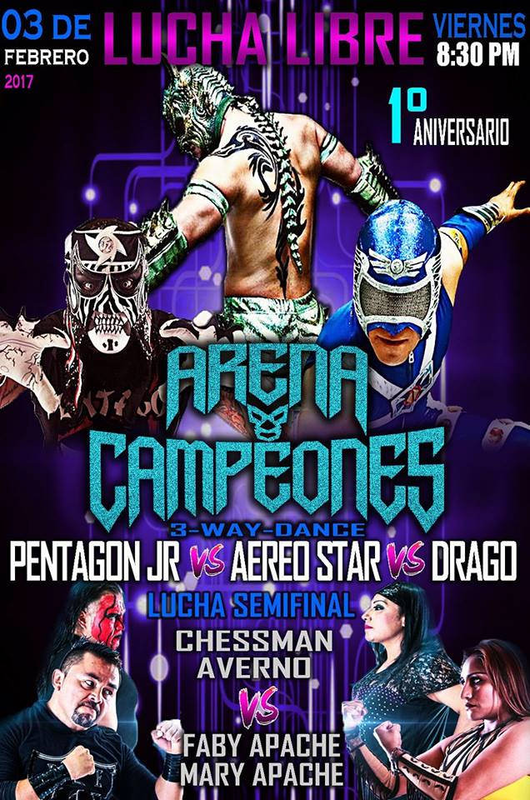 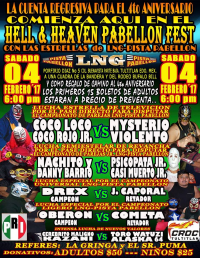 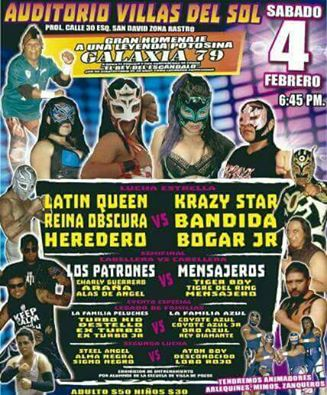 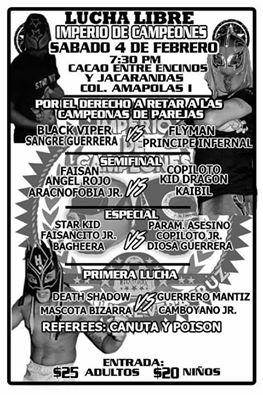 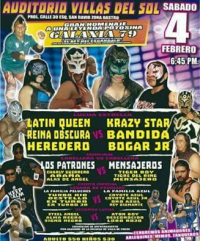 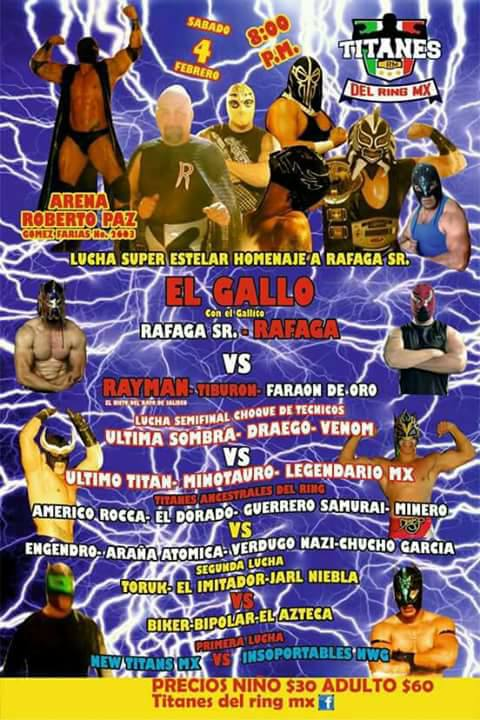 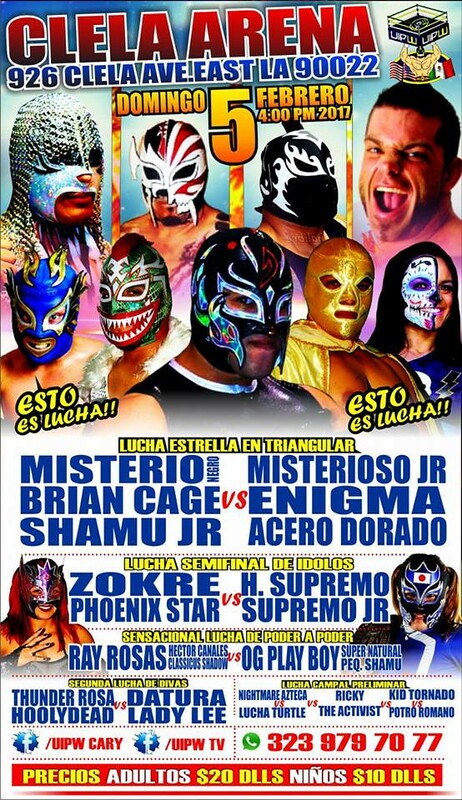 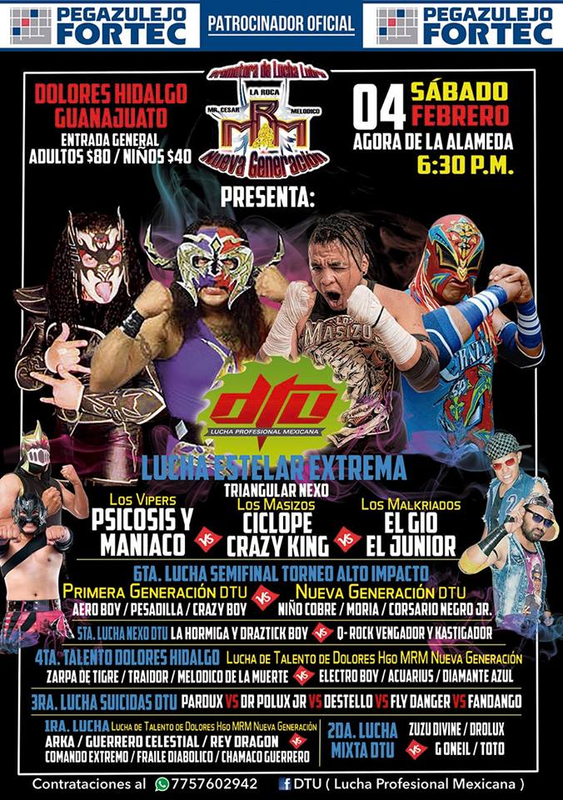 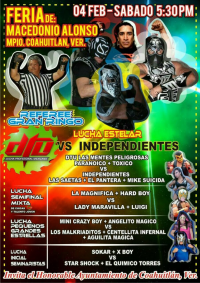 Pagano & Chessman replaced Daga & Pentagon Jr. on 01/24. 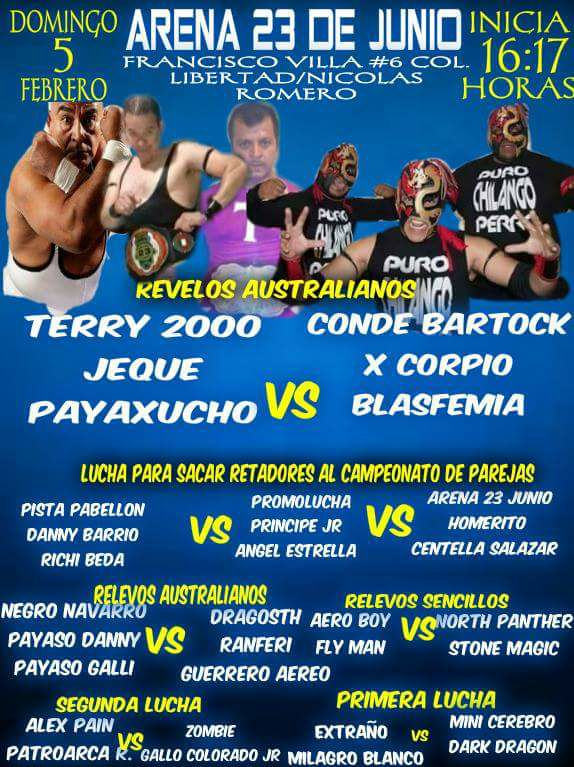 Australian Suicide replaced Drago. 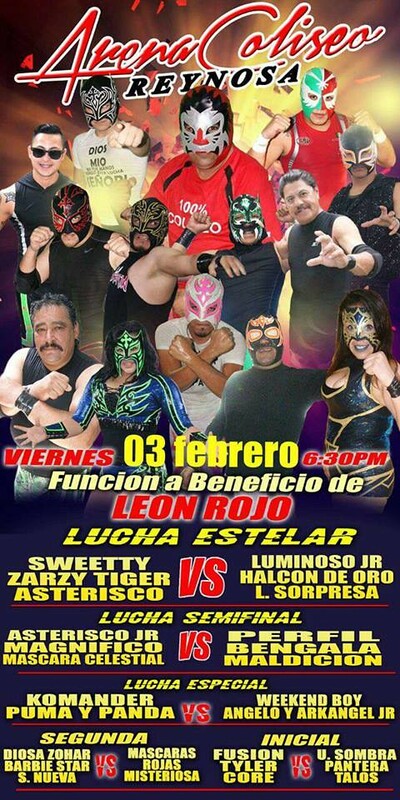 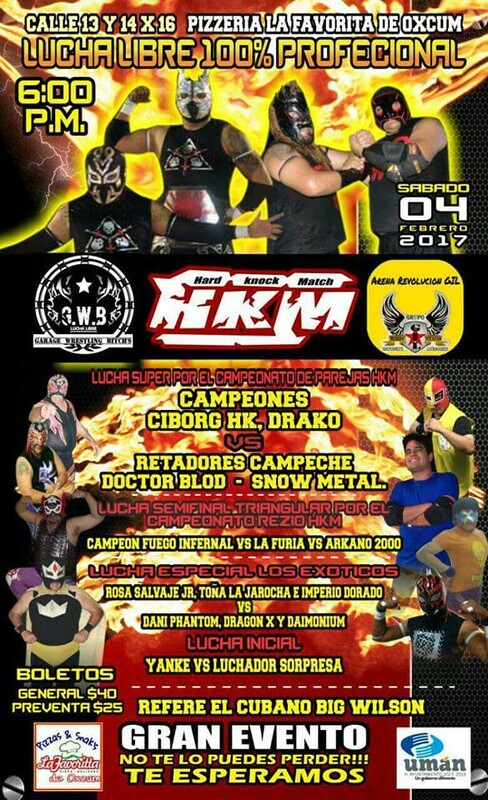 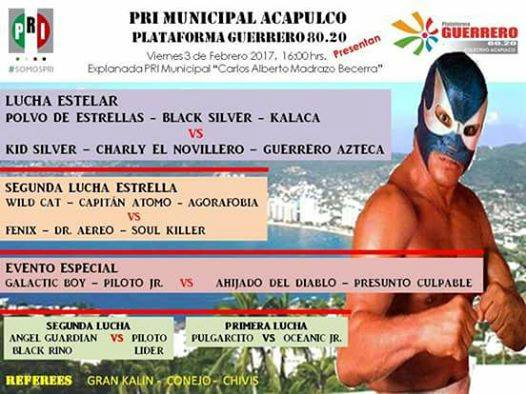 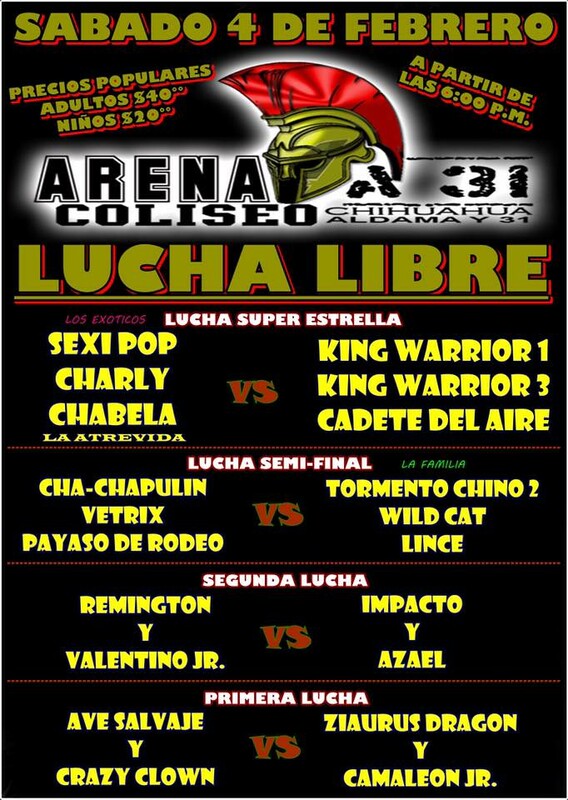 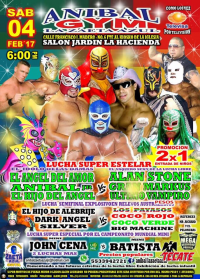 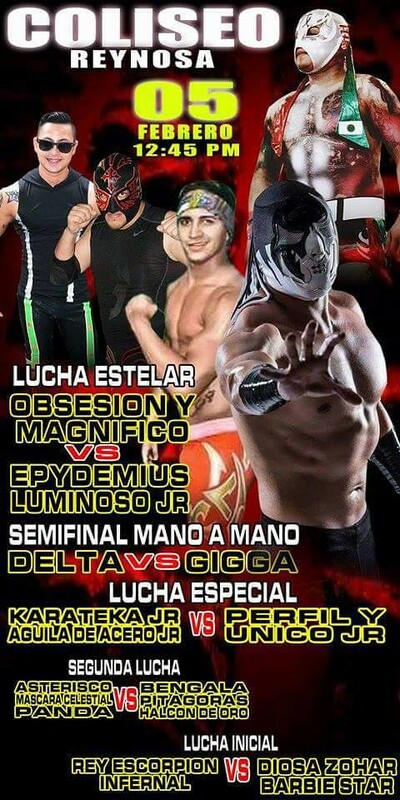 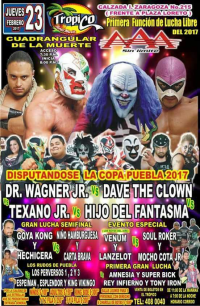 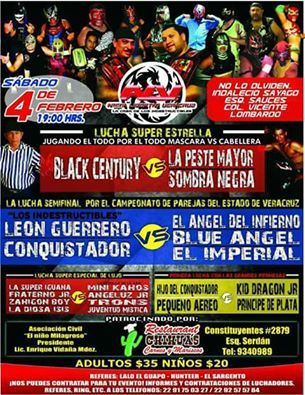 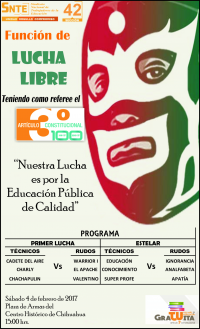 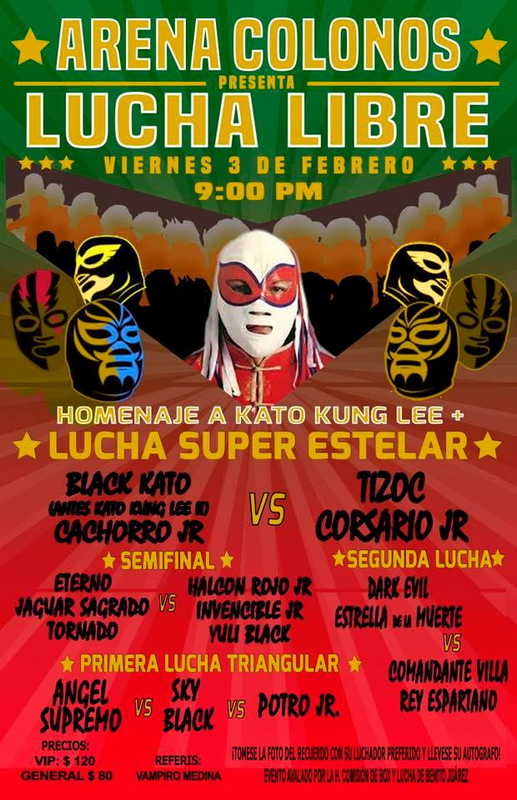 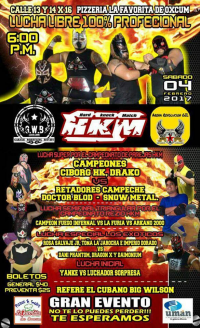 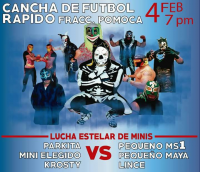 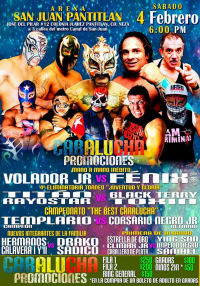 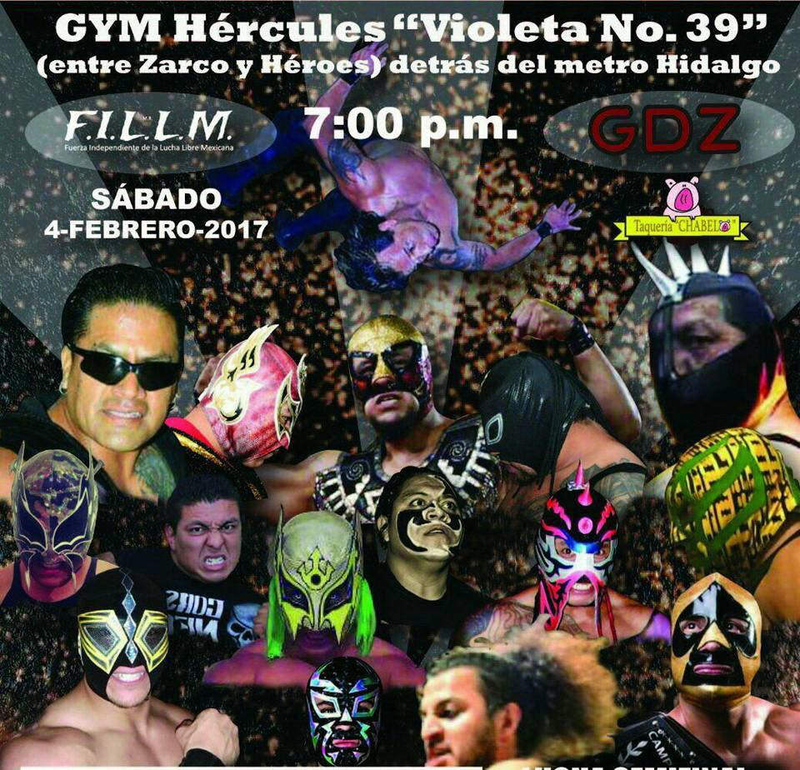 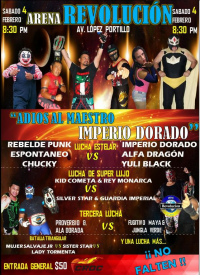 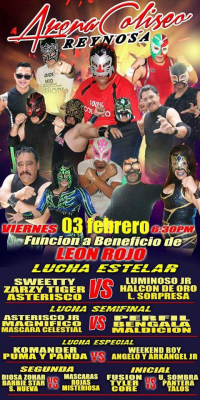 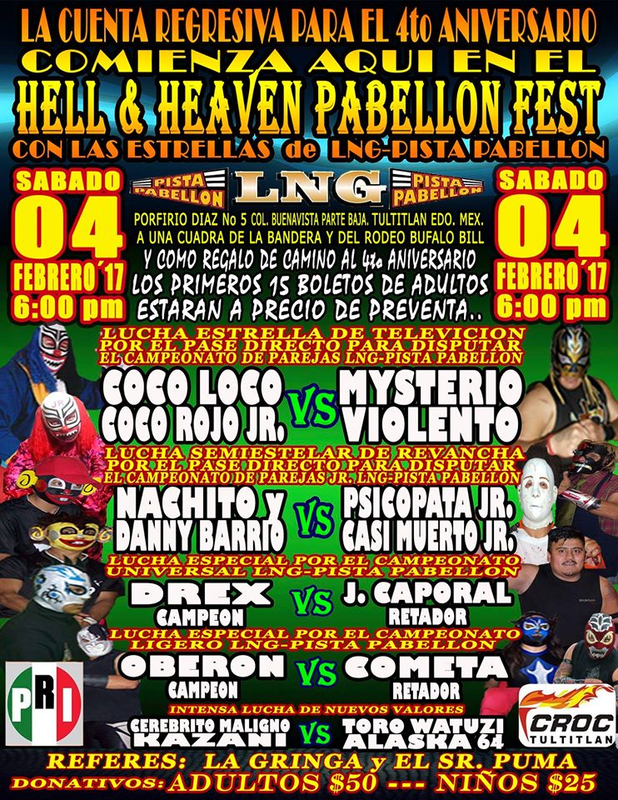 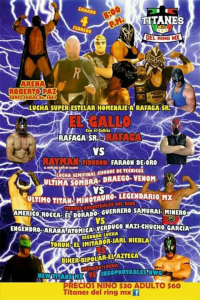 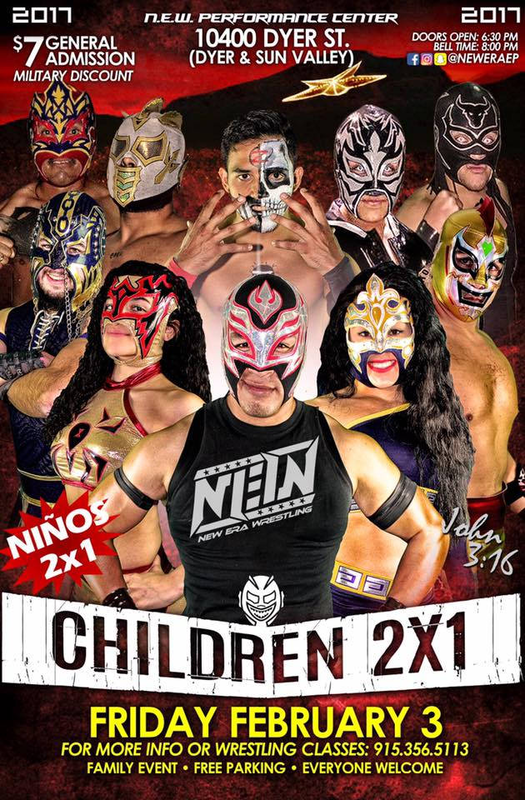 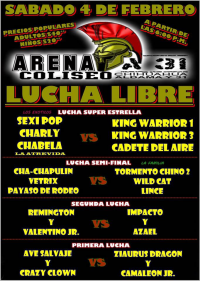 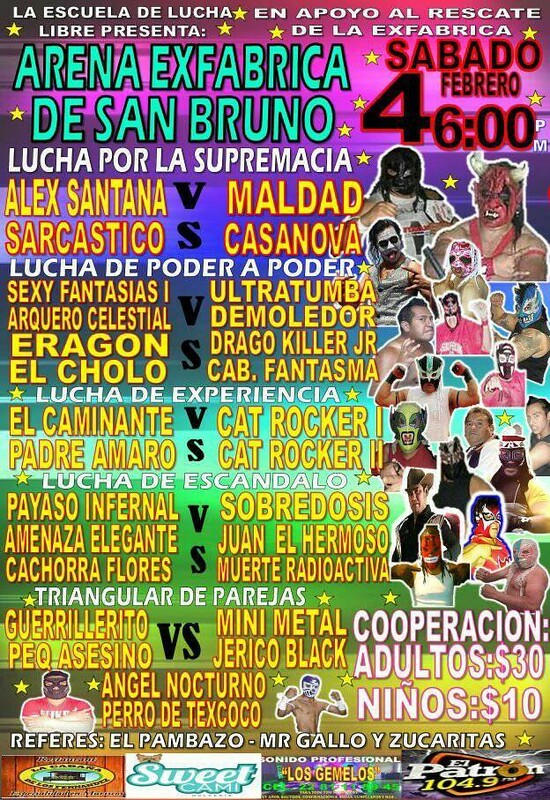 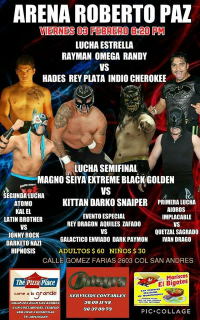 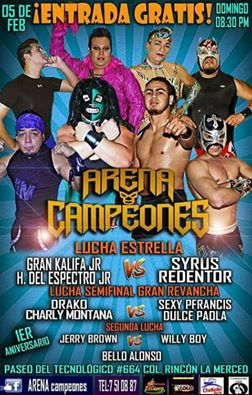 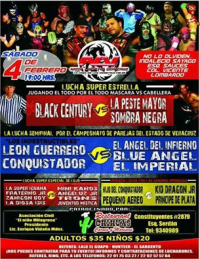 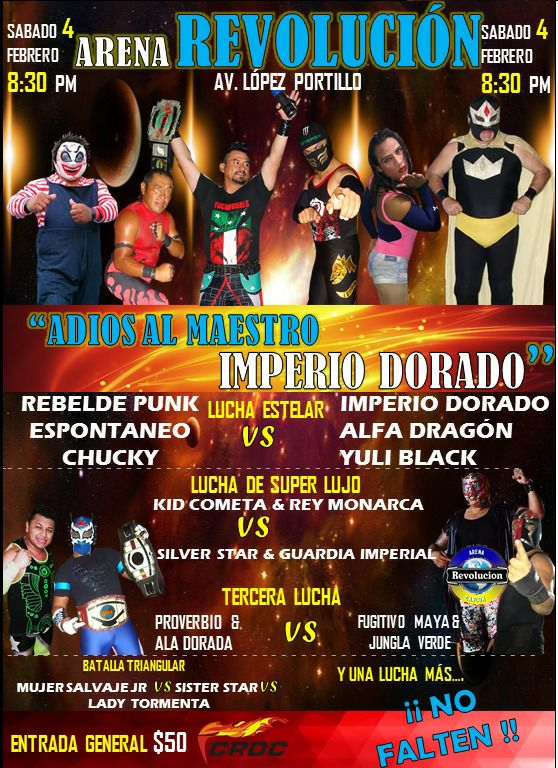 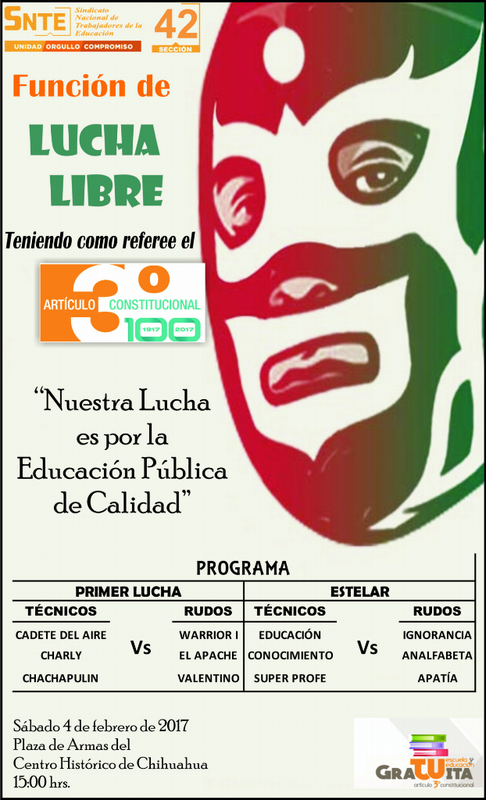 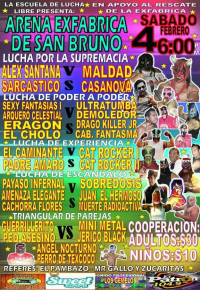 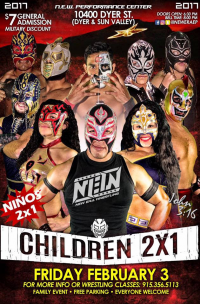 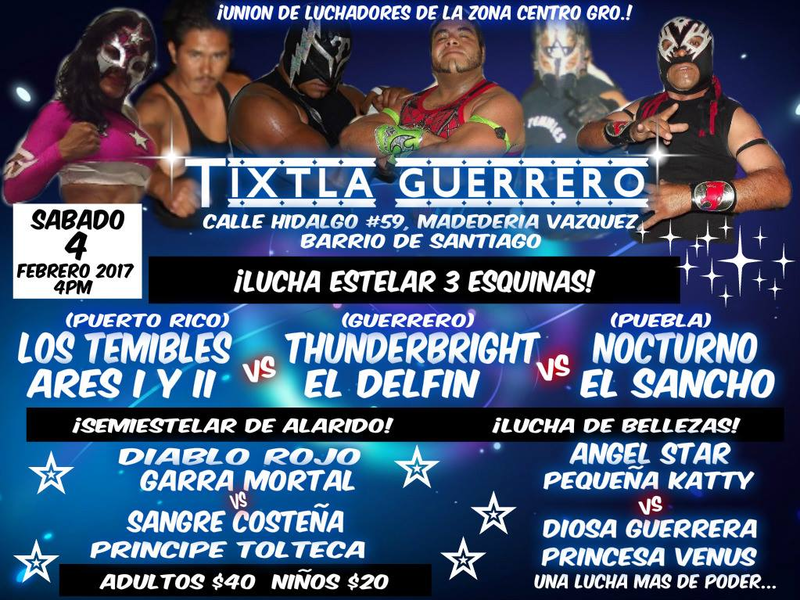 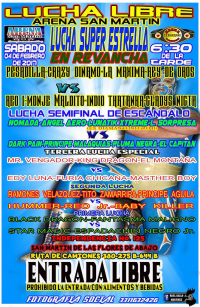 1) Iron Kid vs Resplandor Jr.
4) Mocho Cota Jr. & Soul Rocker vs Rey Piscis & Súper Caló Jr. and Scorpió 2.0 & Scorpió Jr.